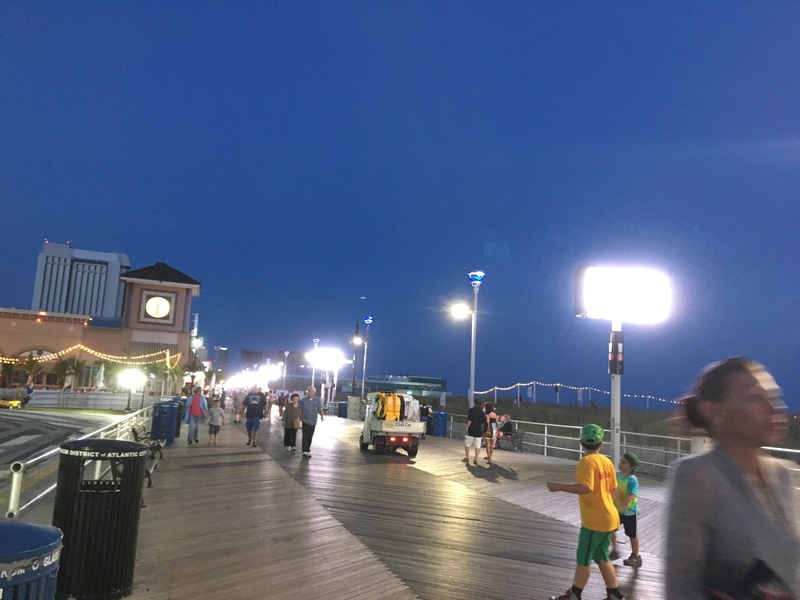 We were in Atlantic City last night, and as we strolled along the boardwalk, I laughed when I saw what else is added to distracted walking these days…. No that’s not street lights you are seeing on the boardwalk: it’s lit billboards! 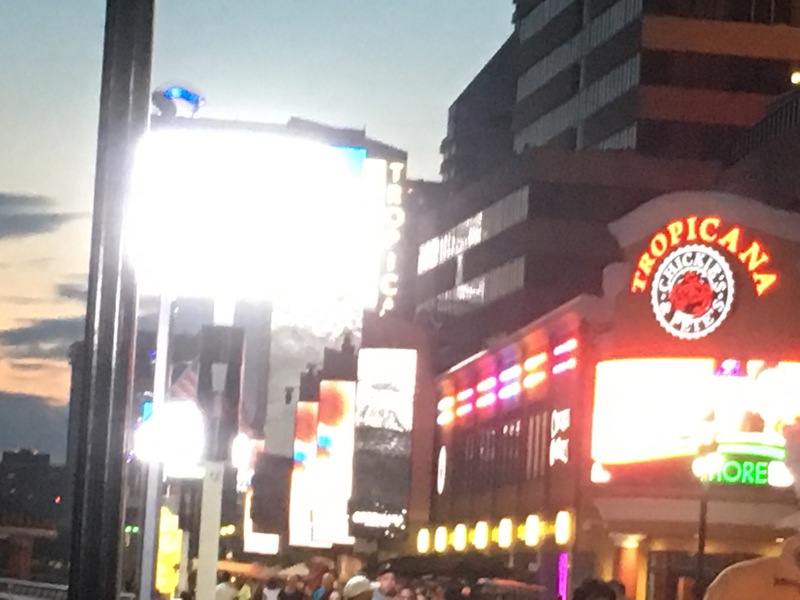 Even the outside of the Tropicana hotel rivaled the lights of Time Square. Now I know that Atlantic City is on the verge of bankruptcy but lit billboards are a sad excuse for taking in fresh salt air and nature.